More than 950 store locations in the U.S. 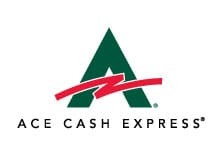 ACE Cash Express inc., offers various financial products & services and is headquartered in Irving, Texas, established since 1968. ACE provides a variety of product’s & services under one roof, like payday loans, installment loans, title loans, auto insurance, check cashing, bill pay, prepaid debit card, and wire transfer. The company specializes in short term loans and installment loans. With over 950 retail storefronts, Ace cash express is the biggest owner & operator of check cashing stores in the U.S.
At ACE, customer satisfaction is a top priority. Every loan comes with guaranteed satisfaction if you change your mind and desire to cancel the loan. Return the principal amount within 72 hours without getting charged any fees or interest. Applicant must be at least 18 yrs of age, to apply for an Installment Loan or Payday Loan. Need a steady and verifiable income source with recurring payments, to ensure the applicant can repay the loan. Must reside in the U.S and a resident of the state in which obtaining a loan. Should provide a valid home address with contact details. Must provide a valid social security number or individual taxpayer identification number. Need an active checking or saving account, which has been open for at least a month. Payday Loans at ACE Cash Express. Payday loans can be beneficial during a financial emergency when you come across a sudden unexpected car or home repair, medical expenditure or any other expenses and need quick cash to take control of the situation. A payday loan ranges between $100 to $1500 depending on the state. Individuals in need of financing have two ways to obtain a cash advance, either online or in person at the nearest storefront. Online Application: – The online application process is simple, convenient and secure, completing it just takes a couple of minutes. Remember to have the following info handy, your social security number, income source, and banking information when filing your application. After submission, you would receive an instant decision on the approval or denial of your loan request. An additional phone verification may be required, to complete the loan approval process. Make sure you, provide a valid phone number and can be contacted by phone. When your loan is approved, you’ll be shown your complete loan contract. The amount borrowed, interest, due date, and any additional fees will be explicitly mentioned in the contract. Read the terms and disclosures carefully prior to entering into any transactions. When you agree to the terms and conditions listed, the loan disbursement will be processed. The funds are electronically transferred to your bank account as soon as the next business day. Payday Loans are currently offered online in the following states by ACE Cash Express: – Texas, Ohio, Minnesota, California, Idaho, Kansas, Louisiana, Florida. In-store Application: – ACE operates more than 950 store locations throughout the country. However, certain products and services are not available in all states and at all storefronts. If ACE offers payday loan in the state you live in; you can make use of the store locator tool on their website to locate the nearest store and apply in person at the store. When you apply in-store do not forget to carry the following documents, valid government-issued photo ID, proof of income and statements of banking account. In case you have any queries, contact the store for more details as required documents may vary by state. If approved, your loan amount will be disbursed in cash immediately. To pay off your loan, you need to visit the same store on your due date and make the loan payment in cash. Payday Loans are currently offered in store in the following states by ACE Cash Express: – California, Florida, Indiana, Kansas, Louisiana, Minnesota, Missouri, Ohio, Oregon, South Carolina, Tennessee, Texas, Virginia. APR, Fees, and Loan term on a Payday loan. Ace Cash Express is a licensed lender and adheres to the state legal guidelines applied on short term loans. Each state has distinct laws which regulates and defines the permissible amount a payday lender can lend, how much fees they can charge and duration of the loan. Some states have specific guidelines to restrict the loan term, and some may cap the loan amount and finance charges. The laws vary widely from one state to another. For example, the total cost of obtaining a $300 loan for a fee of $20 per $100 borrowed for fourteen days, you would finally end up paying $360 including the principal and fees at an annual percentage rate of 521.42%. Installment Loans at ACE Cash Express. Installment loans are more manageable and a better alternative when compared to short-term payday loans. Imagine if you come across an unexpected expense which you didn’t prepare for in your monthly budget and need urgent money to cover it. The amount of financing you require is much higher than a payday advance could offer, and you need a loan which can be repaid in monthly or bi-weekly small installments for a longer duration as you cannot afford to make a one lump sum payment. ACE offer’s installment loan which ranges from $200 to $5000 and allows you to repay the borrowed funds over a longer period at lower interest rates. The loan repayment term is up to 14 months, based on the state you live in. 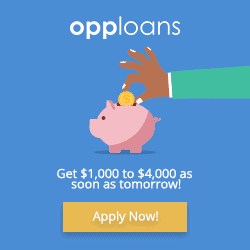 How to apply for an Installment Loan? To apply for an installment loan at ACE, you can choose the online application option or visit one of their local stores. Applying Online: – The application process for an online installment loan is quick, easy and hassle-free and takes minutes. Fill out the simple form in one go on your mobile or computer and receive an immediate lending decision. Depending on your income and underwriting criteria the loan amount you qualify for will be concluded. ACE Cash Express offers installment loans online in the following states: – California, Missouri, Delaware, New Mexico, Ohio, Texas. Applying In-Store: – In-store installment loans are only available in particular states and certain store locations. Utilize the store locator tool to find the nearest storefront. Take your government-issued ID, income proof, bank statements, and checkbook to apply in person. ACE Cash Express offers In-store installment loans in the following states: – Colorado, Louisiana, Missouri, New Mexico, Oklahoma, Texas. ACE may service as a lender, depending on the state. In some states, it may service as a CSO (Credit Services Organization) or CAB (Credit Access Business). Ohio Residents: – In Ohio, FSH Credit Services LLC doing business as ACE Cash Express, is a registered credit services organization (CSO) and not a lender, which helps consumers to obtain financing from third party lenders for a commission. Texas Residents: – In Texas, ACE Credit Access LLC is a licensed credit access business (CAB) and not a lender, that helps consumers in obtaining loans from unaffiliated third party lenders for a commission. State Licensed Licensed lender, Established in 1968. 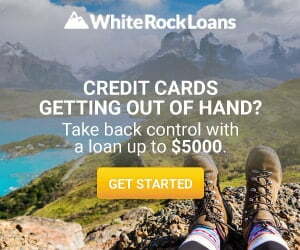 Loan Amount Payday loans range from $100 - $1,500. Installment Loans range from $200 - $5,000. The amount may vary depending on the state law. APR 65.35% - 1409.36%. May defer depending on the state law. Loan Period Loan tenure may depend on the laws in your state.